Please get in touch with us and let us know how we can provide additional assistance for you. Our hours are Monday through Friday, 8am-5pm. At Mike’s Collision Center, we always make sure our customers feel comfortable during the entire process, ensuring their repairs are done efficiently and correctly. Our focus is not only on your vehicle, but on you. Our primary goal is to meet your needs with integrity and professionalism as we provide high-quality repair for your car. Why Choose Mike’s Collision Center? Mike's Collision Center regards customer safety as its number one priority. Most repair facilities can make a vehicle look nice, but is the vehicle safely repaired to the manufacturer specifications? With vehicle redesigns and technology continuously changing, continuous education and training is critical. Mike's Collision Center has earned the I-CAR Gold Class certification, the highest training achievement recognized by the collision repair industry. It is estimated that only 10% of repair shops currently meet the rigorous Gold Class standard. Collision repair professionals need ongoing, role-relevant training to maintain current knowledge in their roles. Collision repair technicians at Mike's Collision Center are experienced and ASE-Certified, using the latest technology available. Repair technicians have also attained the I-CAR Platinum designation for achieving and annually maintaining high levels of training that contributes to complete, safe, and quality repairs. 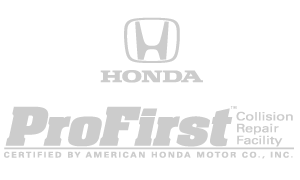 Mike's Collision Center is the only Honda ProFirst Certified Repair Facility in Bloomington-Normal. Our Honda-specific training, knowledge, tools and equipment, facility standards, customer satisfaction, and annual inspection by a third party to maintain this certification mean you can have total trust in our ability to repair your Honda vehicle safely, correctly and completely. We proudly stand behind our repair work for as long as you own your vehicle. 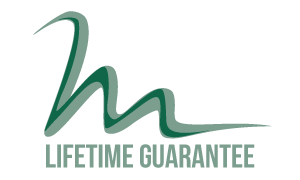 Customers receive a written lifetime warranty upon completion of the repair. We are dedicated to making things easy; all we need at Mike's Collision Center are the keys and a contact number. Because we understand that you want to know the status of your vehicle and its repair, our staff follows a pre-determined callback schedule throughout the repair process. Or, you can get updates sent to you via text and check on your vehicle's status at anytime via Carwise.